To inculcate Entrepreneurship among the students and Industrial Consultancy Services in different disciplines. In 1988 The Industrial Consultancy Unit was reorganized as the Bureau of Industrial Consultancy and Research and Development. In the year 2005 the Research and Development wing was separated and it is presently called Bureau of Industrial Consultancy Services. 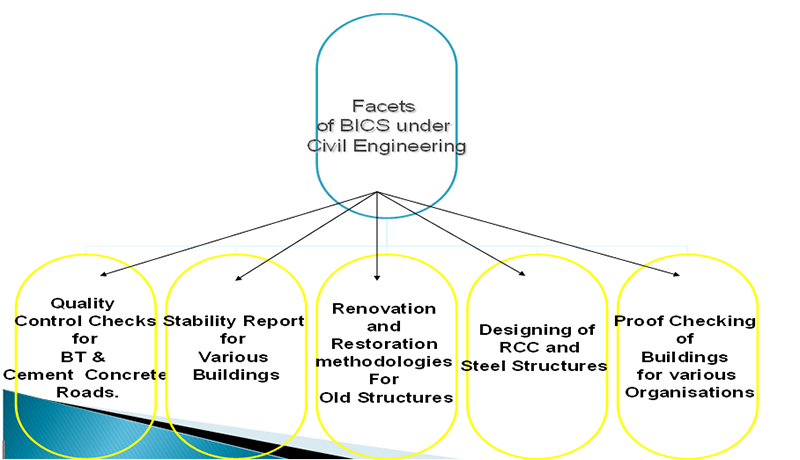 BICS is well recognized in Telangana and Andhra Pradesh and in the states around Telangana. The annual turnover of consultancy in the University is about 1.50 crore rupees. BICS is headed by a Director and assisted by Deputy Director,design assistants and technicians staff. Utilize facilities and expertise available within the University for consultancy. To identify the opportunities for promoting entrepreneurship. Projecting consultancy opportunities to Electrical, Electronics, spatial technologies, bio technology, chemical Engineering, computer Science etc.. These include designs for bridges, subways, causeways, stadiums, multistoreyed buildings, and survey and contour plotting. Software development for real time applications. Communication Tower for Police Dept at various places.